elescopes are trained to the night skies. The year is 2014 the Earths governments have been squabbling over economics and politics with no end in sight. The only ones not concerned with politics and the economies of the world are the scientist and astrophysicist who were watching the night sky. October 10th would be remembered for awhile for its big discovery. A big asteroid KV15A40 is the size of Texas. Its trajectory was measured and calculated. It would intersect the Earth’s orbit in less than two months at a Lagrange point between the Earth and the moon. It was coming in from the right arm of the Milky Way passing Venus. It would be visible to all of the day light and nighttime Earth as it passed by the Earth at least that was what the scientist thought. That's how it all started. The great sky storms, then darkness that would not leave the sky the Earth began to cool down. The Earth would be knocked out of its goldilocks orbit into a decaying one that was moving further from the sun. What was the United States was now a snowy waste. North and South Africa were the same. The whole world was freezing to death. Ash had choked the skies. Now, a millennia later Wolf a reluctant hero will face the wrath of a council he cannot trust. He will be forced to work against the laws of his people to begin saving the very ones that would see him dead. He will lose his second wife in child birth while in exile. His first will be his champion in getting a mass exodus to begin by endangering her life while carrying their first child. His father a council member will set himself against him then become his greatest advocate. The history of his planets death was lost during the struggle of the human race to survive. Only the two great super domes center Suns shine now. The snow and ice outside the clear dome walls fly continuously. Many times the ice and snow had fallen into the tunnels and caverns that were bored out by hand by descendants of the first human survivors. These tunnels ran under the domes and the snowy ice wastes outside. The tunnels and caverns are where the people live now. This is a race toward survival for the remaining survivors of the domes. 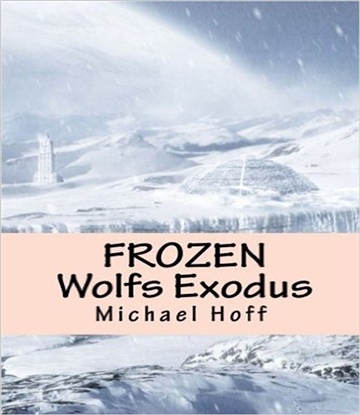 Its race against enemies and politics while Wolf , his wife and lieutenants struggle to lift them into the stars and salvation.